Our Jungle Juice Plus comes in a square, brown bottle and the famous gray label to your home. 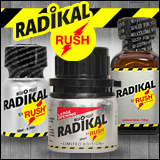 For hammer hard erections, this flavor is just the right one. This very popular variety has already become a myth. 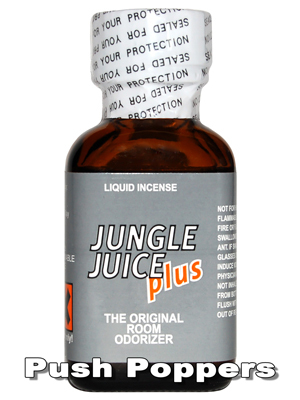 Jungle Juice Plus is a term for best quality aromas with a special strong content and a fantastic effect! In its way it is unique and one of the varieties most commonly used. The term "Jungle Juice" originally comes not from the Poppers product, but by a mixed drink made of all available alcoholic beverages such as vodka, liqueurs, brandies, fruit pieces and fruit juice. The blues singer Stick McGhee has dedicated this concoction two songs under the titles Drinkin 'Wine Spo-Dee-O-Dee and Jungle Juice. ATTENTION: Our Jungle Juice Plus is a Poppers and should not be drunk.